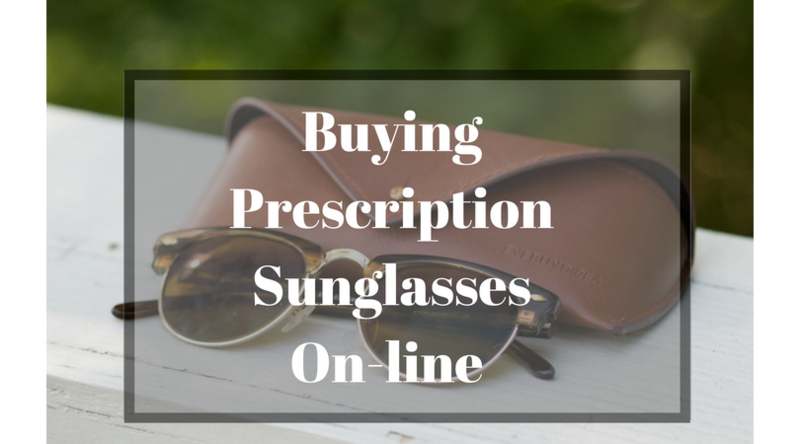 Last year I wrote a post about How to Buy Sunglasses for Your Face Shape, today, I am talking about buying prescription sunglasses on-line. It does help to know you face shape, as what might be the most flattering on you. My mom and i recently had a discussion about glasses, as she went to get her glacoma surgery. She said she could do with just “readers” and both her and I agreed that we were so used to ourselves with glasses on! I have been wearing glasses since 4th grade, at the age of 10, so to me, I look strange without my spectacles! 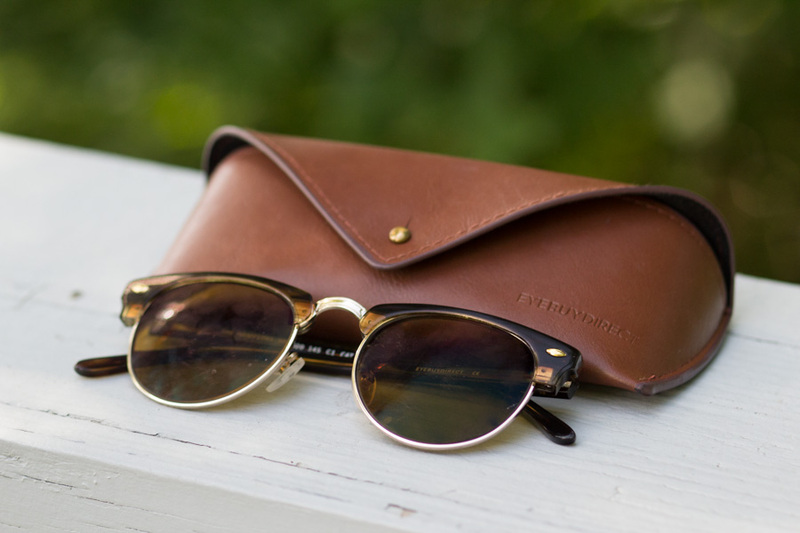 This “Ray Ban like” style is a classic shape. I bought these on Eyebuydirect, called the Hamptons. . 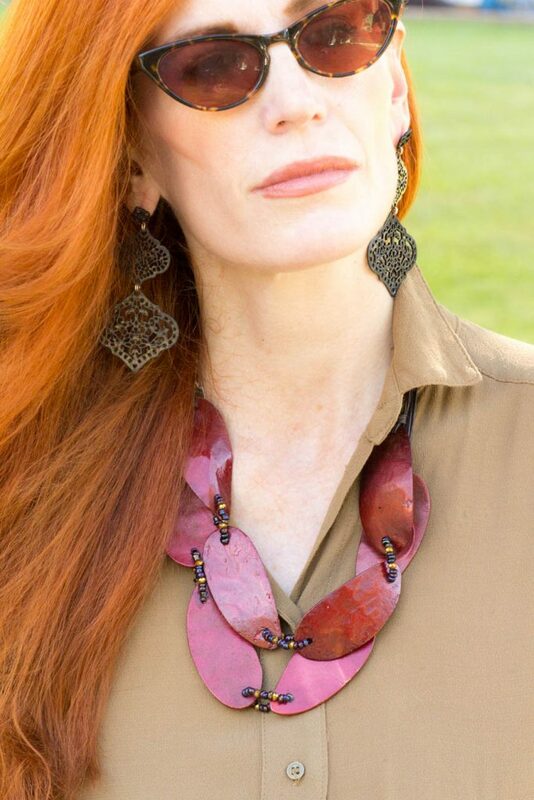 I am wearing the tortoise brown color with brown tint. About 8-10 years ago, I went the route of frame-less glasses, Sillouettes, when they were trending, and I wanted to look like I wasn’t wearing glasses. Now, I enjoy the styles and looks glasses provide, as I wear my vintage styled cat eye frames or my scholarly tortoise shell styles. I found out something rather interesting at my last appointment at the Opthamologist. I have Spherophakia. “Oh no! I thought to myself, not something else! ” When you have one condition, the last thing you want to hear is that you have something else! Well it turns out, Spherophakia is noting more than a rare condition in which the lens of the eye is abnormally small and more spherical than usual. It is related to Ehlers- Danlos Syndrome. So, no worries, nothing to do about it. I do have an astimatism, and am nearsighted, along with the fact that I need progressive lenses when reading or I just take off my glassses. ( and increase the font size on my computer if needed). I do try and see my eyedoctor once a year, where i am given the lastest script. When you get your prescription, do make sure you have these things. PD- Pupillary Distance ( the is the measurement (in millimeters) of the distance between the pupils of your eyes.) The doctor will give you this measurement if you ask for it during your eye exam. The prescription is dated. – Make sure the prescription has the date on it. Some on-line sellers will not fulfill a prescription over a year old., so you need to have a current prescription. Use filters to easily find what you want. ( such as Gender, size and shape). 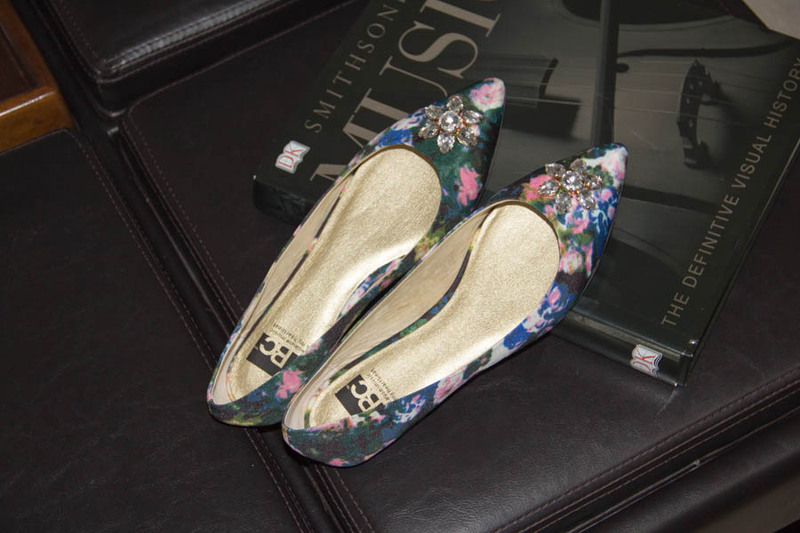 This will narrow down the options for you and make it easier to find a pair that will fit your style. Take a look at the measurements. On-line sites, such as EyeBuydirect, will have specs for the size . Do read about this. As I mentioned, I need a small frame, around 48-50 mm. Try-on- Some sites will allow you to upload a photo of yourself without glasses. You can see how the frames will work on your face. Make sure you just have a picture of your face close up and click to try on. Warby Parker has a try on program with certain frames. You can try 5 pair at home. EBD enables you to upload a photo. This is what I did to try on these frames. Make sure you have the measurement if you have an astigmatism. Now, you have you script and you are ready to shop on-line. I have purchased glasses from Zenni Optical, Warby Parker, and most recently, EyeBuyDriect. You can find promotional codes usually on their site, however, if you don’t see one listed, visit Retailmenot.com. This is a site for retail codes. Put in the seller, ex. eyebuydirect and see if there are any promotional codes. I find that even if I don’t have a code, these sites are very reasonable, much more so than purchasing from retailers in the eyeglass shop. I bought 2 pairs of sunglasses for less than $200, using a code and shopping there. 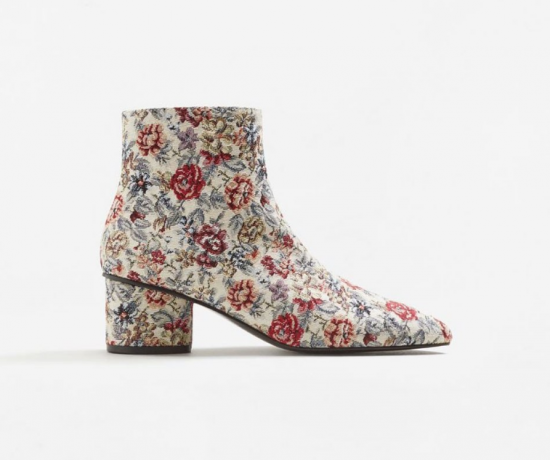 Often, a stylish pair will cost you double that price in a retail store. I have spent 3 times as much at a store versus on-line, but it all depends on your preference. One pro of buying at a local shop, is that you can get your glasses repaired quickly, at your convenience. I bought my last 2 pairs of sunglasses from eyebuydirect. One thing I need to look for is smaller scalled frames as i have an oval narrower face. I have a more “glamour” pair, a bit larger for my face, for fun. However, if I want more stylish, practical sunglasses, I want the pair to be small. ( 48-50mm) in diameter. EBD, as other on-line glasses companies, have filters for you to choose the size, shape and possibly other perimeters ( cost etc). I put in my filters- small, price and ONly those sunglasses within my parameters would show up. This is the other pair I purchased from EDS. They are called the Divine Frame, with grey tortoise, and I got the grey tint. They are a small frame with a subtle cat eye and rounder shaped lenses. 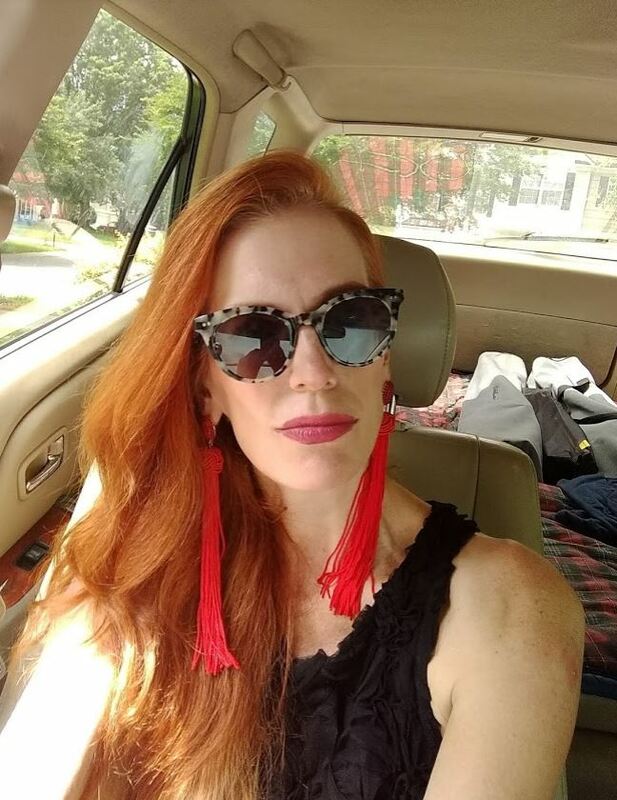 I have had these sunglasses from Zenni Optical for a few years. The slim cat eye shape is very on-trend right now. I have always loved a cat eye too and its vintage style. **This is not a sponsored post. I have shopped at places I listed here and hope to help you too. Have you purchased glasses or sunglasses on-line? What was your experience? I am so glad this is an option to buy sunglasses online now and regular glasses. I’ve bought a few pairs online but never sunglasses. 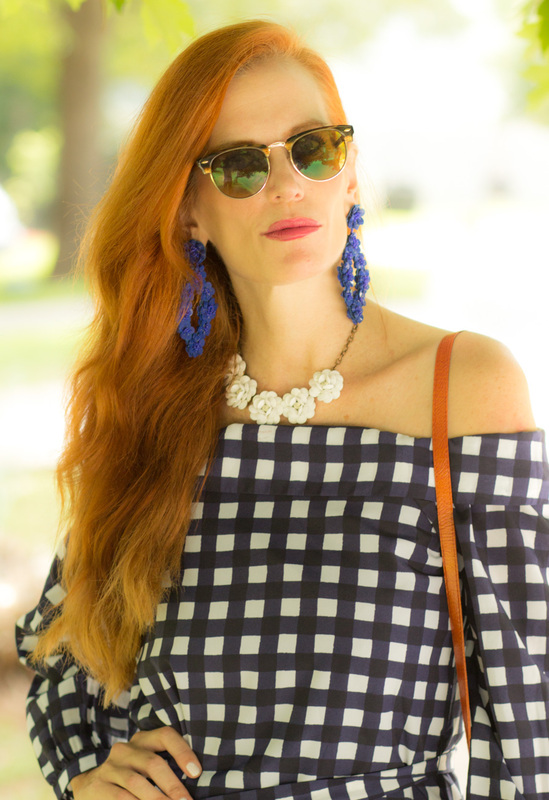 I need to try this, I really love that gingham top and those earrings! Hi Jess! This is so informative…I wear readers, but other than that my vision is fine (I think). I am still buying the TJ Maxx readers which are fine, mostly because I loose them like it’s my job, but sometimes I want a nicer pair! I’ve finally resigned myself to the fact that I need glasses to read most menus, so if I want to eat, I need to wear my glasses. I got one contact lense but it got stuck in my eye so now I’m afraid to put it in again! I love the sunglasses you’re wearing, but I must admit that I was distracted by your fabulous earrings! Have the best weekend!! I have used Warby Parker and loved it. Your frames look great on you. I am on the other end of the spectrum – I still have to do a double take when I see myself in glasses, I’ve only started wearing them. I am still hoping to get contacts that will work but my need for progressive lenses has made it hard to find the right prescription. Oh the frustration. I love your sunglasses and will keep these sites in mind. My current prescription sunglasses are from Costco and I like the frames fine but the lenses are a little weird in my opinion, not as good as my prescription glasses. Have a great weekend – I can’t wait to hear how you like the concert!!! I think this is a great option too, Jess! I’ve used a couple of these brands and have had really good luck! !